ATLANTA – June 14, 2017 – Ticket Alternative proudly announces a new partnership with Blumenthal Performing Arts out of Charlotte, North Carolina. The partnership formed as a result of Blumenthal’s desire to consistently provide their patrons the best customer service experience across all points of service, including their call center services. 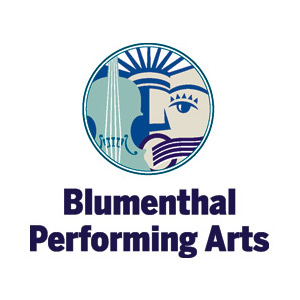 Blumenthal Performing Arts welcomes and serves nearly 630,000 attendees annually. At that volume, a supplemental call center with dedicated, expert knowledge of ticketing and events is imperative for the organization. Blumenthal Performing Arts looked to Ticket Alternative, whose call center already services similar venues like the Atlanta Botanical Gardens and The Fox Theatre, who require an exemplary customer service experience, to provide the right solution. Ticket Alternative’s call center is open 7 days-per-week, 365 days a year, and supports clients on a variety of ticketing systems including Spectra/Paciolan, AudienceView, TopTix, Gateway/Galaxy, Freshtix & more. Customer Experience Reps undergo thorough and ongoing training to provide a fully branded experience and are monitored through a rigorous Quality Assurance program. The partnership officially launched in June of 2017. For more information on upcoming shows at the Blumenthal, visit http://www.blumenthalarts.org/. About Ticket Alternative: Ticket Alternative tickets thousands of events and venues annually across the U.S. Based in Atlanta, Ticket Alternative can ticket almost every type of event, large or small, including concerts, sporting events, theater productions, festivals, and parties. Ticket Alternative’s range of services includes online ticket sales, an in-house call center, box office software, local ticket outlets, advance ticket sales, including subscriptions and season tickets, donation & fund development, event marketing, access control, and event staffing. In 2012, the company added software development. Ticket Alternative is also one of the largest sellers of event wristbands and custom printed tickets. The company has made the Inc. 5000 list of fastest growing private U.S. companies every year since 2009.